Retired General Anthony Zinni will be despatched to the Gulf in an attempt to defuse the Qatar crisis, in a sign that US Secretary of State Rex Tillerson is taking a more hands on approach in addressing the dispute. Mr Tillerson announced the move late on Tuesday and was widely lauded by regional experts and Gulf watchers who referenced Mr Zinni’s prominent record on both the military and diplomatic side in the Middle East. The US Secretary of State said Mr Zinni will be accompanying Tim Lenderking, deputy assistant secretary for Arabian Gulf Affairs in the Near East Bureau to the Gulf next week. The trip coming almost three weeks after Mr Tillerson’s failed shuttle diplomacy to Kuwait, Saudi Arabia and Qatar, will aim at bringing all sides to the negotiating table. While it wasn’t clear if Mr Zinni will be taking charge of the Qatar file as an official envoy for the US government, the mere news of his visit was welcomed by policy experts in Washington. Charles Lister, a senior fellow at the Middle East Institute, said Mr Zinni “will come at this situation with many years of experience working intimately and at the highest levels with GCC states through his leadership at the US Central Command.” Mr Zinni was Commander in Chief at Centcom between 1997 and 2000, and is intimately involved with US military relations with the GCC countries. “He’s a strategic thinker and someone who’s also spent years working around granular and complex challenges” said Mr Lister. 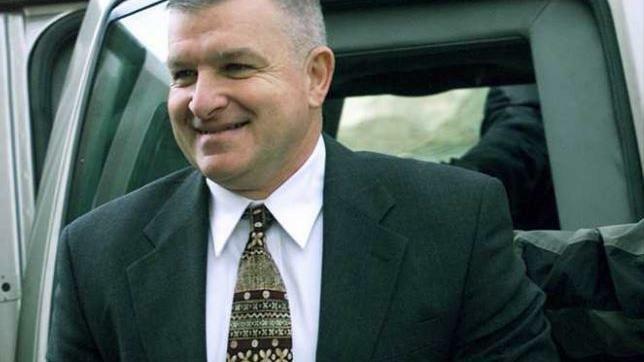 Following his retirement from the US marine corps in 2000, Mr Zinni served as U.S. special envoy to Israel and the Palestinian Authority during the second Intifada, and then led missions to Pakistan, Somalia, Eritrea and Ethiopia. “It’s no secret that he’s a widely respected figure in the region, so his stature and experience will place him in a good position to tackle difficult issues” added Mr Lister. But almost two months into the Qatar dispute, mounting hurdles will face any US effort to start dialogue. The US is a key partner with all the nations involved in the crisis, particularly with regards to counter terror and security. The Al Udeid airbase in Qatar houses the largest number of American troops in the region. The UAE, Saudi Arabia, Qatar and Bahrain launched a boycott of Qatar on June 5, accusing the country of supporting extremist groups. The countries cut off diplomatic, trade and travel links with Doha and drew up 13 demands that Qatar would have to accept before talks to resolve the crisis got underway. Last week in Manama, the four foreign ministers from the boycotting countries met and reiterated those demands. “After the meeting in Bahrain, things seem to be in a ‘holding pattern’ so any effort to promote a dialogue and eventually a resolution would be a plus” said Ms Wahba. Mr Zinni’s good relations with all the actors and military background could help in securing US interests and preventing rupture in the GCC agreed both experts. With Anthony Zinni “there is no grandstanding” said Ms Wahba. Meanwhile, Qatar announced on Wednesday a €5 billion (Dh21.7bn) order for seven warships from Italy. Foreign minister Sheikh Mohammed bin Abdulrahman announced the deal with his visiting Italian counterpart Angelino Alfano. It follows the signing of a preliminary contract in June 2016 for the deal between the Italian group Fincantieri and Qatar for four corvettes, an amphibious vessel and two patrol boats. Mr Alfano called for a de-escalation and a solution that shows “respect for international law”.